How does Papuans Behind Bars work? We record data on political arrests in West Papua, as soon as we receive information about them. We then seek further information on the case, and try to find out whether the arrests and detentions were politically motivated. Sometimes this is clear before the trial, and sometimes it is not clear until after the trial has taken place. When we have enough information to consider that somebody is a political prisoner, we publish details of their case and a profile about them on the Papuans Behind Bars website. What is a political arrest? These are arrests which appear to be politically motivated, and can include arrests which happen in political contexts such as demonstrations or places used by politically active organisations and people; arrests of politically active people or their relatives; arrests of people because of their alleged political affiliations; arrests for political activities such as raising a flag or engaging in civil resistance activities, mass arrests, and politically-motivated arrests under manipulated criminal charges. While many political arrests do not result in long-term detention or prosecution, it is important to monitor them as they show patterns of targeting and harassment which are used to limit freedom of expression and assembly in West Papua. There is no standard definition of a political prisoner. Papuans Behind Bars includes those prisoners where there is reason to believe that their detention was politically motivated. We consider each detention on a case-by-case basis, and take into account lots of different factors. Many of the prisoners and former prisoners featured here have been charged with treason, a charge often used to restrict political activity in West Papua. Treason, or ‘makar’ in Indonesian, detailed under Article 106 of the Indonesian Criminal Code, and incitement, detailed under Article 160 of the Indonesian Criminal Code, were inherited from Dutch colonial law and in West Papua are is often used to prosecute any form of dissent. People have been convicted under this law for allegedly belonging to the pro-independence group the Free Papua Movement (Organisasi Papua Merdeka), as well as for raising the banned Morning Star (Bintang Kejora) flag. Some of the prisoners are politically active people who have been charged with very minor ‘crimes’ which are widespread but hardly ever prosecuted. For example, a demonstration organiser might be arrested for carrying a sharp weapon at the demonstration, in an indigenous society where knives are frequently carried for everyday needs. Many political prisoners listed on this site have been detained for activities such as demonstrating or criticising the government, being politically active, or being affiliated to groups which are critical of or challenging to the government. Sometimes individuals who are not politically active at all are detained because they were present at a political event or were accompanying a politically active person. This often happens in the context of the mass arrests or ‘sweepings’ which frequently take place in West Papua. When people are arrested for exercising rights and freedoms which are guaranteed in Indonesia’s Constitution, the Universal Declaration of Human Rights, and other international instruments which Indonesia has signed up to, they are included as political prisoners. Sometimes ordinary criminal laws are used to prosecute people who are being targeted for their political activity. This might be indicated by the personal political profile of the individual and their activities, and often the individual receives an unfair trial. Unfair trials may involve allegations or evidence of torture of the suspect or witnesses; forced confessions; fabricated evidence; intimidation of witnesses, lawyers, or judges; heavy security forces presence at the trial, or other interference with the trial process. While the weak justice system and poor access to legal aid in West Papua means many people do not get a fair trial, political prosecutions often feature particular injustice in the arrest, detention and trial proceedings. These factors sketch the narrowest boundaries for political prisoners in a place like West Papua, where the endemic structural discrimination against indigenous peoples – which is fundamentally political in its nature and impacts – plays a strong role in the already weak police and judicial systems. Social prejudice alone can mean that a Papuan person may be arbitrarily detained, unfairly tried, beaten in prison or held in inhumane conditions. Are people accused of violence still considered political prisoners? In some West Papuan prisoner cases, an individual is charged with actions which have both political and criminal connotations. Sometimes the criminal aspect may be a violent one, such as alleged attacks on security forces. In the case that somebody is found guilty of a violent criminal act such as murder, in a trial which is seen as fair by human rights lawyers, independent observers and investigators, Papuans Behind Bars does not include them as political prisoners, even if the motivation was political. However, there are a number of factors which need to be taken into account when considering such cases, because understanding what really happened can be very complex. In West Papua, the stigma of ‘separatism’ is very strong. In this context, just the accusation of committing a violent crime or being affiliated with a group associated with political violence makes it difficult for lawyers to provide a defence without fear of intimidation. The limited space for human rights lawyers to work on these cases can jeopardise the fairness of the trial process. There has been a history of cases where political activists are arrested and accused of violence by police either in the media or during the trial. These accusations are often then dropped and substituted with accusations of a lesser, petty crime. 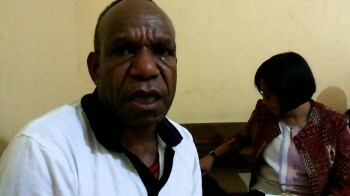 For these and other reasons, when a West Papuan political activist is accused of a violent crime, and even convicted of it, there has often been strong counter-evidence which casts reasonable doubt on the trial process and verdict. Papuans Behind Bars follows these more complicated cases carefully to try to get more information, and monitors the trial process to hear the outcome. Where people are accused of violence and there is uncertainty as to whether it is a criminal or political case, Papuans Behind Bars will follow the case and report on any concerns about the arrest, detention and justice process in our Bulletin. But we may not consider the person to be a ‘political prisoner’ if there is not enough information to decide this. It is important to bear in mind the particular dynamics of violence in West Papua. After 60 years of conflict, the discovery of vast natural resources and the entry of commercial interests, the protracted conflict has been complicated by numerous conflicting interests. There are many cases of violent incidents which remain unsolved. Often police are unable to find the perpetrator, or complete an investigation but never publish the results. When violence against the state does occur, there are frequently mass arrests and unfair trials resulting in unsound prosecutions. Do you only include prisoners who are in jail now? Papuans Behind Bars publishes data on all current prisoners that we know of. We also publish data on many former prisoners who have been released or have died in prison. While there was not sufficient information or resources available to research all past cases, a number of cases since 2000 have been published in order to highlight the systemic restrictions on freedom of expression in West Papua which continue today. What sources of information do you use? We prioritise primary source material where it is available, such as witness statements and in-depth investigations. Papuans Behind Bars includes a number of Papuan human rights lawyers, who work to verify information wherever possible. Do political prisoners provide information directly? While it is sometimes possible for national and local human rights investigators to carry out interviews with Papuan political prisoners, Papuans Behind Bars does not seek information from prisoners while they are in detention. This is important for safeguarding, as Papuan political prisoners have been subjected retribution after giving interviews or information to researchers. Prisoner information is researched using whatever information is available at the time, and we use both English and Indonesian sources. All sources are cited, so that readers can assess for themselves how accurate they think the information is. West Papua is at the very eastern edge of Indonesia, and many areas of West Papua are very isolated, with access only possible by plane. While lots of effort has gone into building up information networks to connect communities, it is still very difficult for accurate information to travel around Papua. This affects both the accuracy and speed of information flow. The flow of information in West Papua is itself politicised. Local and national journalists have faced threats, intimidation, beatings and sometimes execution when reporting from West Papua. Access for foreign journalists and human rights NGOs is severely restricted, and the International Committee of the Red Cross were thrown out of West Papua in 2009, bringing an end to independent monitoring of prison conditions. Prisoner profiles are not static documents but are updated as necessary to record events as they develop. Profiles are therefore dated on update. The obligation is incorporated into Indonesian law by Article 7(2) of Indonesian Law 39/1999, which states that international human rights provisions ratified by Indonesia are binding under Indonesian law. This is reinforced by Article 67 of the same law, which requires everyone in Indonesia to comply with Indonesian law, including international law concerning human right ratified by Indonesia. The punishment of non-violent political activities is a clear breach of Indonesia’s national and international legal obligations regarding the right to freedom of expression. Restrictions on the right are allowed by the ICCPR under certain limited circumstances (to protect the rights or reputations of others, or to protect national security, public order, or public health or morals) where they are justified as necessary. The test of necessity is stringent and any restriction on the right should not be wide-ranging in its effect. The persistent use of criminal provisions to target political activists in general, as demonstrated by the cases on this website, cannot be justified as a legitimate restriction on the right to freedom of expression. What about political prisoners from Maluku and other parts of Indonesia? This project is currently focused on Papuan political prisoners. However, there are many political prisoners in Indonesia, particularly in the Moluccas, who are also serving long prison sentences. Most of the Moluccan prisoners were charged with treason for expressing independence aspirations, in common with many Papuan political prisoners. Papuans Behind Bars will continue to seek resources and support to extend this project to other areas. In the meantime, here are a few links giving further information about Moluccan political prisoners. Does Papuans Behind Bars support independence for West Papua? Papuans Behind Bars takes no position on the political status of the contested territory of West Papua. While many of the political prisoners listed on this site are alleged supporters of the ongoing independence struggle, expressing their political aspirations should in no way be seen as compromising their right to enjoy the same rights and freedoms as any other person. West Papua has previously been known as West New Guinea, West Irian and Irian Jaya. In 2003, the territory was separated into two provinces, Papua and West Papua, by the Indonesian government. However, both provinces together continue to be commonly referred to by local people as West Papua because of their shared identity, history and culture. Papuans Behind Bars uses the name West Papua in accordance with that common usage.